1999-2008 Complete 50-coin "D" Mint Statehood Quarter Set, The Statehood quarters of 1999-2008 have come and gone, and will never be minted again! 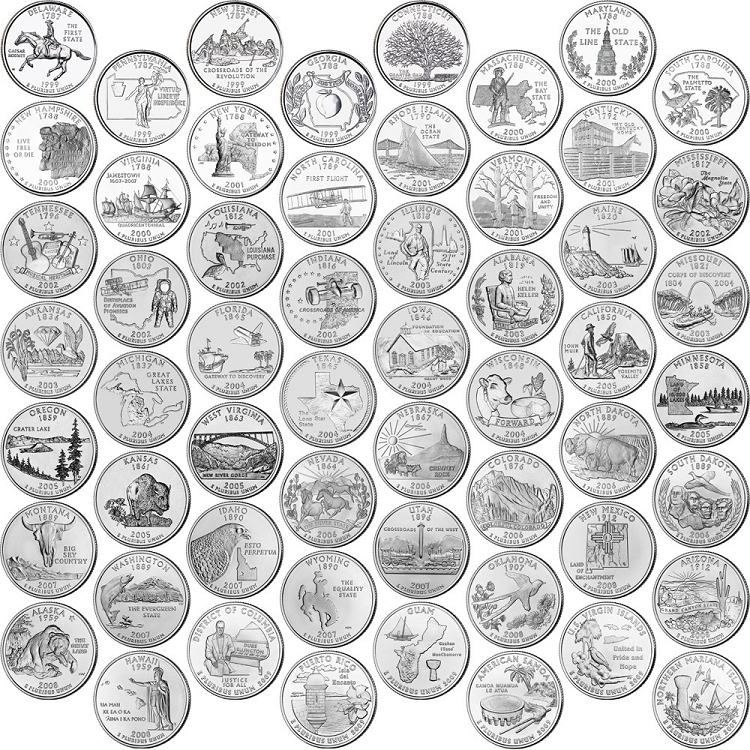 Now is the time to acquire all 50 different Uncirculated coins from the Denver Mint. All in mint Uncirculated condition Each coin minted for about 10 weeks and then never again! Don’t miss this opportunity to own all 50 Statehood quarters from the Denver Mint in collector-preferred Uncirculated condition.